Mines Wellness City, Seri Kembangan. 10am to 4pm (weekends). Closed on Tuesdays. DIM sum lovers, take note. Kim Ma Restaurant at Palace of the Golden Horses is having a special dim sum promotion throughout this month, and there are more than 20 types of dim sum offered in the menu. 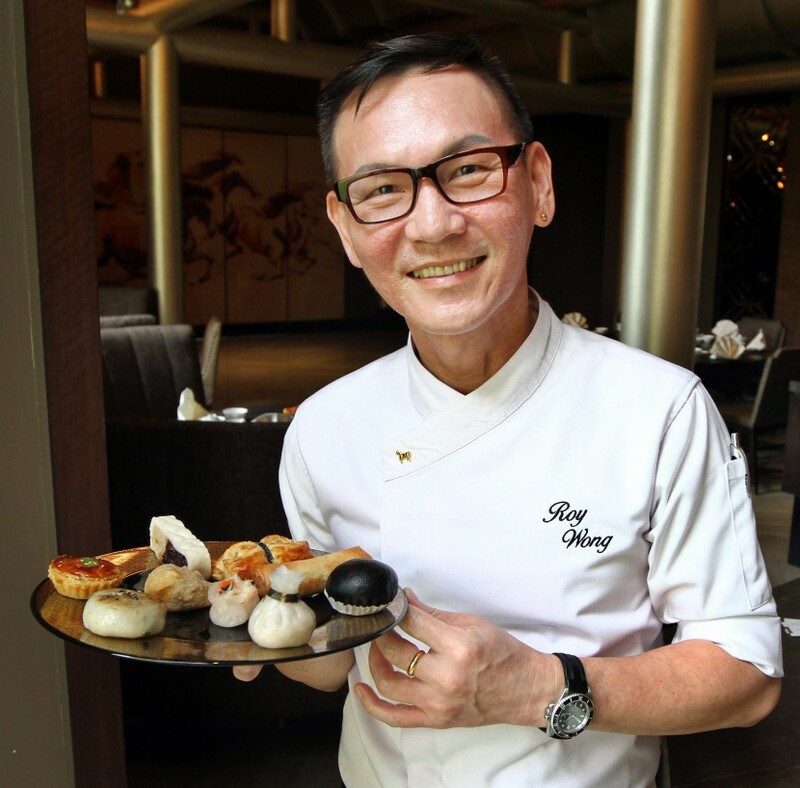 At a recent food tasting event for the media, we sampled nine dim sum prepared by celebrity chef Roy Wong. At first glance, we knew this was not going to be the usual spread of the tasty morsels. Wong with his dim sum creations. We were served three typical-looking dim sum – Black Mushrooms Dumplings with Abalone Sauce, Fresh Prawn and Chicken Dumplings with Black Vinegar and Dried Scallop Dumpling with Caviar. All three were tasty and full of flavour. They are best eaten with the special chilli sauce. I love that it is spicy as it complements the dumplings. My personal favourite is the Baked Puffs with Unagi. I approached the dish with caution as I had never heard of unagi puffs before and I don’t really like unagi (eel). The Baked Chicken Puffs in Abalone Sauce. However, my apprehension vanished once I tasted the dish. The taste of unagi was offset by the cucumber and mayonnaise. At certain parts, it tasted like a tuna puff, and I love those. 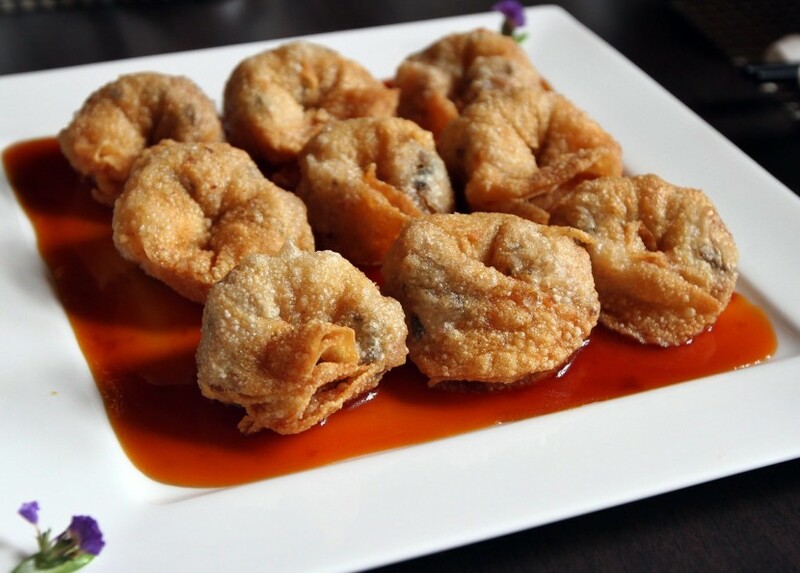 If like puff pastries, try the Baked Chicken Puffs in Abalone Sauce. This dish is best eaten while it is still hot, but be careful as the puff is crispy. 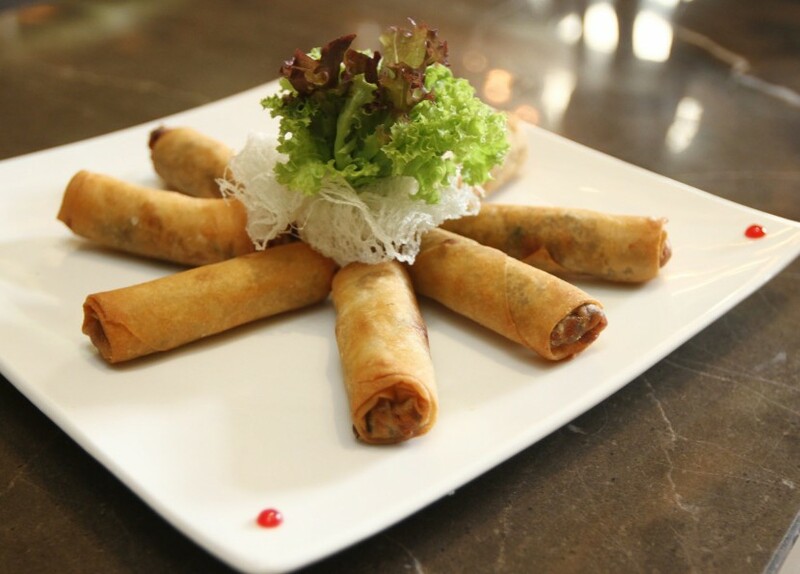 Those who love mushrooms should sample the Spring Roll with Enoki Mushroom and Chicken. Another favourite is the Spring Roll with Enoki Mushrooms and Chicken. Enoki mushroom has a strong smell, but it was complemented by pieces of chicken and it was certainly not your average popiah. If you love mushrooms, then you should definitely give this a try. A dim sum meal would not be complete without a bun, and during the review we tried the Steamed Buns with Red Dates (top pic). Dried Scallop Dumpling with Caviar, a perfect dish to start the meal. At first I thought the filling would be sweet, but I was pleasantly surprised to discover that it was not; the bun was soft, which made it perfect to have at the end of the meal. Another dish worth trying is the Pan-fried Chives with Seafood. It has a slightly salty taste and crispiness which I like. It is also great with the chilli sauce. 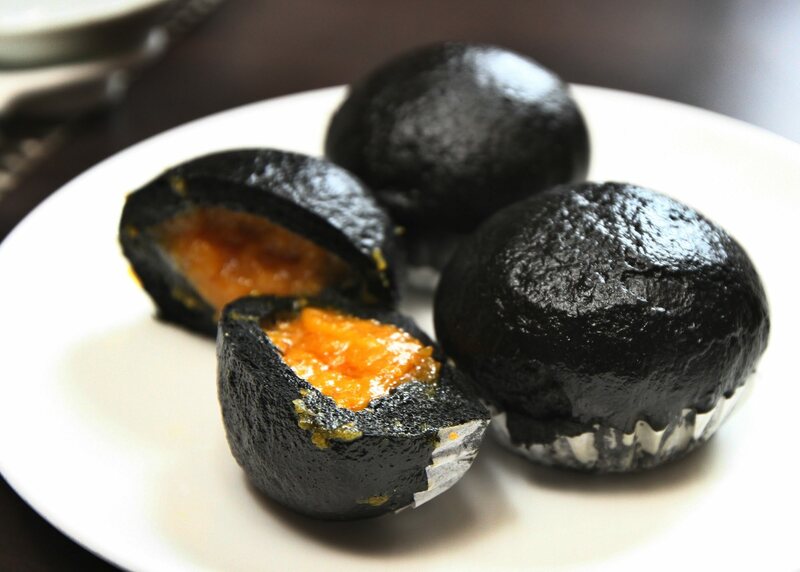 The ‘Yuan Yang’ Glutinous Rice Dumpling is best eaten while it is still warm. 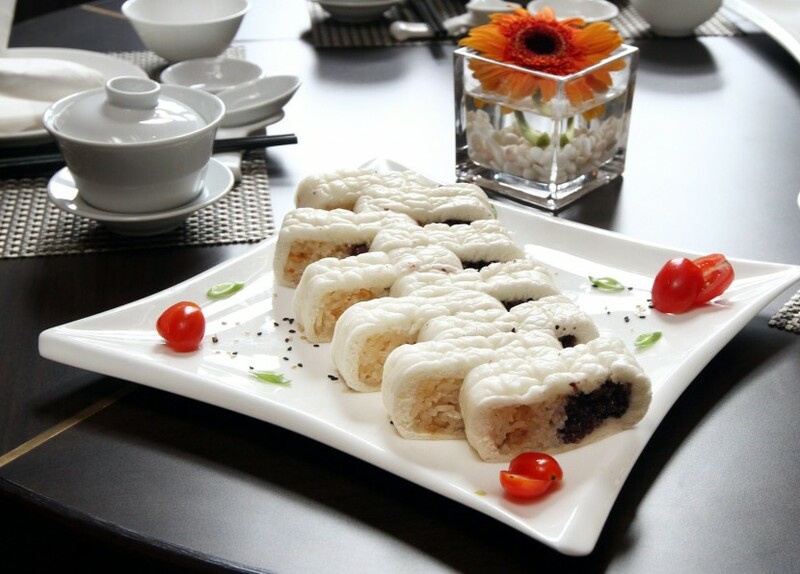 If rice is what you like, try the “Yuan Yang” Glutinous Rice Dumpling, but make sure to eat it while it is still warm, otherwise its flavour becomes less pronounced. 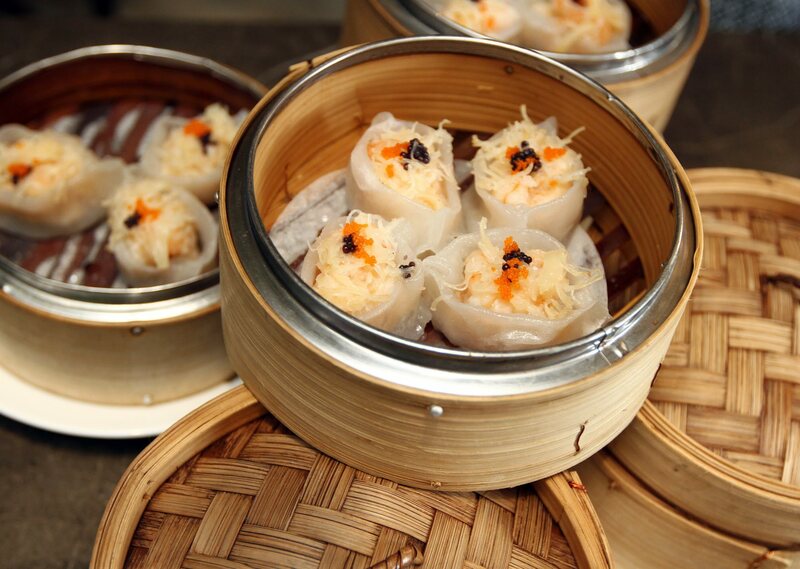 As dim sum are traditionally eaten as a snack, most of the dishes come in three or four pieces. However, Wong insisted that couples who come together may choose to have two pieces instead. “I want my patrons to be able to try every little bit on the menu,” he said. He added that the special dim sum were available only this month, but he would take into consideration the diners’ feedback and see if some dishes could be listed as a permanent feature. Prices for each dish starts from RM11. The restaurant also has an “All Your Can Eat Dim Sum” package at RM65 nett, which is available on weekends and public holidays.